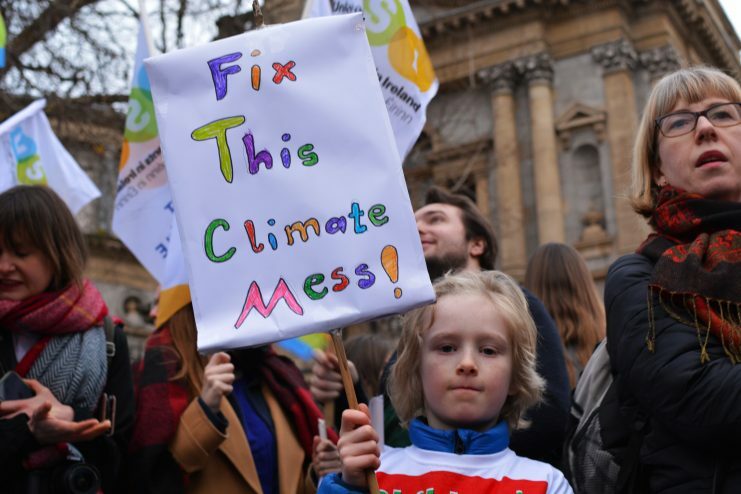 Once again the UK is at the forefront in fighting climate change Euan Mearns has the story UK Government to Announce New Energy Policies Excerpts in italics with my bolds. Amidst Brexit chaos, the Prime Minister will today introduce a white paper to Parliament detailing the Government’s new energy strategy. Stunned by criticism that she has failed to listen, the new policies will take full cognisance of the concerns recently raised by striking school children. The new policy has 4 main strands. The Downing Street press release is below the fold. As of 1 January 2020 juveniles below the age of 18 will no longer be allowed to fly on commercial flights within the UK and between the UK and foreign destinations. A reciprocal arrangement will apply to incoming flights that will not be allowed to land on British soil if there are juveniles on board. The government appreciates this will have a major impact on family holidays and tourism. But that is the policy goal. We can no longer countenance families flying all over the place simply for the sake of seeking some sunshine. Tourism is one of the most useless and resource wasteful activities known to Mankind. What is the point in wrecking Earth’s climate to go and gaze at the Eiffel Tower or to go visit Euro Disney when an equally enjoyable time can be had at our home grown attractions of the Blackpool Tower and Center Parcs (Figures 1 and 2). The government appreciates this is going to have a catastrophic impact on the airline and airport industries. That is the whole point of the policy. We can longer countenance giving shelter to evil polluting companies on these islands. The UK will press our allies throughout the OECD to follow suit. Given time this should also have a catastrophic impact on the airliner manufacturing sectors where we expect Rolls Royce (engines) and BAE systems (wings) to be hardest hit. We point to the troubled Jaguar Landrover, caused by government policy, as a shining example of government aptitude at wrecking British industry. The government is often accused of lacking foresight and we wish to stress that we are smart enough to recognise that selfish polluting families may simply try to avoid the adult only flight policy by using car ferries instead. The government sees no way of tackling this problem other than to close down all ferry services between the UK and mainland Europe, the Island of Ireland and all other destinations. Car ferries travelling between Scottish Islands comes under the jurisdiction of the Scottish Parliament. The activity of transporting a two tonne SUV on board a ship running on filthy dirty bunker fuel needs to be consigned to history. The idea of families boarding a ship to simply drive around Europe looking at stuff, while wrecking Earth’s climate, needs to be stopped. The government is aware that these policies may seem to be anti-tourism. Nothing could be further from the truth. We remain committed to a robust, albeit crippled, tourist industry. British children will simply need to learn how to enjoy beach holidays at home (Figure 3). And to prove this point, children will still be allowed to travel to Europe on all electric Eurostar trains. And really rich families will even be allowed to take cars with them, so long as they are all-electric vehicles. With immediate effect, the UK Government is to introduce a ban on children being driven to school by their parents in petrol or diesel cars. We will continue to allow children of very wealthy families to be driven to school in all-electric vehicles. Hybrid plugin electric vehicles will not face an immediate ban but will be phased out over three years. To enforce this ban children will be encouraged to spy on their friends (or enemies) by taking pictures of children covertly being dropped off just around the corner and sharing these images on social media. This should create a deterrent to illegal child dropping. In keeping with the recently announced policy of the Dutch Government to phase out natural gas all together and the allied UK policy of ceasing to build homes with gas central heating, the government will bring forward a bill to phase out gas or oil heating systems in all our schools by 2022. Schools will instead by obliged to install all-electric heating that runs exclusively on in-situ, off-grid, renewable energy systems. Using the latest SMART technology it is anticipated that this should be simple and straightforward to achieve. Thank you Euan. There is no fool like an April Climate Fool.